Mo, Mo, Mo…we hear about it all the time in other sports… Momentum… and it exists in golf, as well. Mo is more obvious when you are playing but it can also show up, or not, during practice. 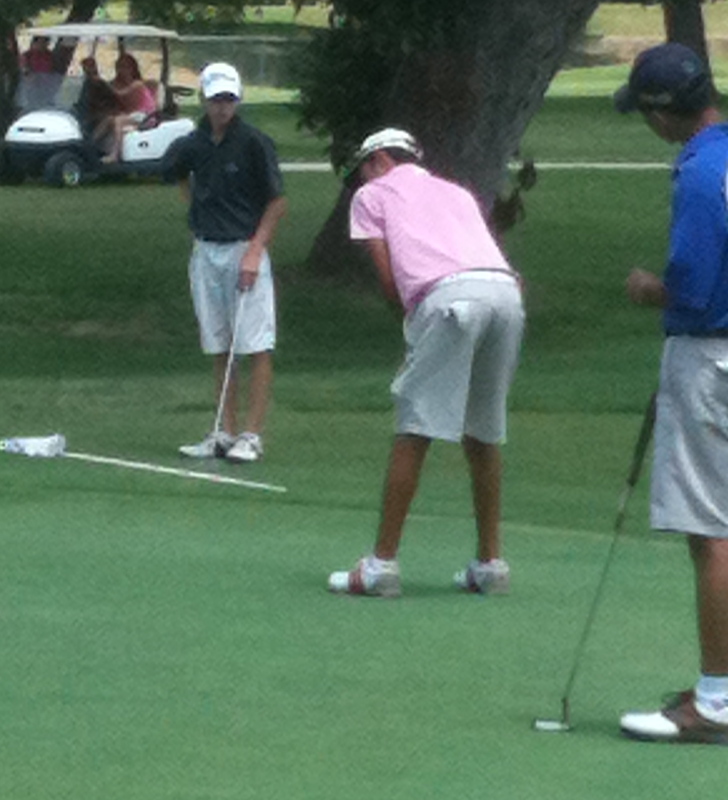 Your Junior Golfer will either have momentum or they won’t have it, but their Mo can change very quickly. It is important for your kiddo to recognize that Mo really does exist and they can use it to their advantage. How do you know if if you “have Mo” or you don’t? It is simple, if they are hitting good shot after good shot and are scoring well, they “have Mo”. If they are just playing barely OK or are struggling, they certainly do not “have Mo”. Momentum can easily change several times during 18 holes. This was very visible at the recent WGC Cadillac Championship when Graham McDowell was hoping to catch Tiger Woods during the final round. G’Mac started with a couple of birdies to close the gap and then in the middle of his round, had a 3-putt or a bogey and it seemed to take the steam (read-Momentum) right out of his game. By the time G’Mac regained some Mo, it was too late in the round and Tiger’s lead was too large. So if McDowell had not lost Mo or had gotten it back sooner, he would have had a chance to catch Tiger. Golfers at all levels are affected by Momentum and Your Junior Golfer may feel the impact even more than the older golfers. Next time we’ll look at how to keep the Momentum going and how to get it back when it disappears. Now, grab your young athlete and go to the driving range. Setting goals is an important part of every Junior Golfer’s regimen. I will begin by addressing why reasonable goal setting is important and how to set these goals for your Junior Golfer. Next I will flesh out two types of goals imperative in guiding your Junior Golfer throughout his or her golf career. Having reasonable goals gives your Junior Golfer an immediate sense of purpose… answering, “Why am I playing golf?” and “Where can my passion for the game take me?”. Reasonable Goals help them walk the path to success: step 1 leads to step 2, step 2 leads to step 3, etc. Achieving a goal may stand alone or enable them to advance to the next level of competition. A sense of confidence and self-assurance comes with every reasonable goal that is met. Without reasonable goals, there is really no purpose and no endgame for your Junior Golfer. Parents please remember what I shared in a previous post, this journey begins with your child’s passion for the game enhanced by your persistence to support them. Without both p’s in play you and your child may be having fun but you’re not pursuing competitive golf. Your persistent support and encouragement is key to keeping your kiddo’s passion alive. If your Junior Golfer is not exhibiting a deep passion for golf today, ask them to putt, hit balls or play 9 holes with you. Whatever gets a club in his or her hand, your goal here is to have fun… Try it and see what happens. First and foremost, be realistic. Goals are mainly determined by the age and/or skill level of your Junior Golfer, so a 7-year old girl will have very different goals than a 14-year old boy. She may be trying to just make contact with the ball and he may be trying to break 80. Parents and Junior Golfer’s must agree to be aware of their goals and consistently pursue them… together. One of the best ways to keep a constant reminder and awareness of your Junior Golfer’s goals is to have them, hand-write all their goals, (hand writing makes it more personal) 6 or 8 goals at one time is plenty… on multiple pieces of paper… all papers have all the goals hand-written on them. If you and your Junior Golfer are already setting goals, now is a good time to look at them from last year and evaluate how things turned out. Did you accomplish more than half? Were you pleased or disappointed? No sweat, in my next post I will identify our first type of goals and show you some specific ways to state them and pursue them that will increase your chances for success. In our third and final posting on goals, we will address golf goals. These are similar but different for every Junior Golfer. Really, the most important all-encompassing goal is constant improvement… better today than yesterday and better tomorrow than today. There are an infinite number of golf goals so the ones below are skill specific to help you get inspired to help your Junior Golfer come up with their own. You can have goals ranging from very short-term to very long-term (“the dream”). Always encourage your kids to dream. Lessons, range time, putting on the carpet at home, hitting whiffle balls in the yard are all part of golf goals and should be regularly scheduled. Our experience with Sam III, S3, was that by the 8th grade he was hitting a lot of good shots, but needed consistency throughout 18 holes. Lessons were only 3 or 4 times a year, mainly when his swing just got out of sync…or he grew 3 inches over the summer! His goals were to be fighting for #1 or #2 on his high school golf team, be a leader on the team by his scores and actions and to always be in the Top10 in every tournament…high school, city championship and TJGT (Texas Junior Golf Tour). And of course to play college golf, which he is currently doing for Texas A & M International in Laredo, Texas. (www.tamiu.edu)..a great NCAA Division II University just starting the process of building a winning college golf program. Your Junior Golfer might want to consider joining S3 in a great college golf environment. OK, what are some goals you and your Junior Golfer can set today? Your Junior Golfer has two types of Achievement Goals. In this posting we will address the Academic Targets, he or she should aim for. Academic targets come first because “no pass no play” is a reality, at least here in Texas for high school, and nationwide in college. The same study habits that result in good grades can be correlated to good golf practice habits that result in lower scores. Stating academic targets properly is extremely important! Always state them in a positive phrasing: “Do this for the desired outcome.” Avoid stating things in a negative or “do not do this” manner at all costs. Make this a habit. So be positive and have a target in the sentence. 1. Be in the top 20% of their class. 2. Meet/exceed the minimum SAT scores for colleges of choice. 3. Be scholastically eligible every grading period. 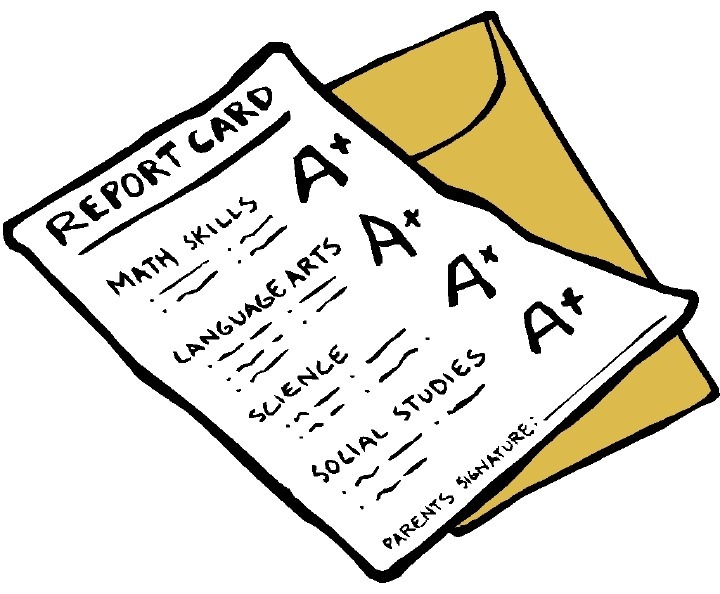 Academically the most important things are to have the highest GPA possible, make acceptable (to your Junior Golfer’s colleges of choice) SAT scores and be eligible every grading period. The first two items are absolute necessities and the third is a positive tie-breaker for your Junior Golfer. These three items are tied together so good study habits help with all academic situations. Remember that you are a team, Mom and Dad or Mom or Dad and your Junior Golfer. As your kiddo starts moving from junior high to high school, you want to put more academic accountability on them. For the younger Junior Golfers in elementary school, encourage them to pay attention in class, study hard and be a good example to their friends. dates, etc. Always turn everything in on time. extra credit…and take advantage of all extra credit opportunities. 3. Develop a relationship with the teacher. This can be very helpful! 4. Know where tutoring is available and use it. 6. Just be there for them. Be an encourager. Sam III, S3, began independent-transitioning (taking on more responsibility and personal accountability)entering into Middle School. In his sophomore year of high school, he started keeping his own weekly calendar, which included all activities plus school classroom assignments, tests, golf practices, tournaments, church,etc. We would do a Sunday evening review of his next week’s calendar together. This kept us in the loop and helped keep S3 sharp as well. It’s tough for some parents to let go, but we must so our kids can start growing into the young men and women they are destined to become. Now, let’s put academics in perspective. If your Junior Golfer desires to play college golf, they must register at the NCAA Eligibility Center (www.ncaaeligibilitycenter.org) preferably during the summer before their junior year in high school. One of the first questions every college coach will ask your Junior Golfer is “What is your NCAA number?”, meaning your Eligibility Center number. You pay a one-time registration fee and then request your high school counselor send your Junior Golfer’s GPA, SAT scores ,etc to the EC, which is the source college coaches use to verify your kiddo’s academic statistics. Please remember and reinforce with your Junior Golfer that better GPA’s and SAT scores, give them more options for college golf. So let’s go find some extra credit! !